For Those who want to play or download Battlefield 1 and Titanfall 2 Games here is a good news from Electronic Arts these two are added to EA And Origin Access for the subscribed users who can play on their Xbox and PC's Electronic Arts Popularly Know as EA very familiar if you are a gamer no doubt all curious gamers look over the Electronic Arts upcoming games. Here is a good news for all those who are eagerly waiting for the new games the company shared a valuable information regarding newly added content to the EA/Origin Access Vault, as well as some big-name games which are most awaited for most of the gaming lovers that they are going to be available in few months. As of now, Access members can get their hands on all of the DLC for Star Wars Battlefront. And if we consider this many of you may already know this that the game itself was already free through EA Access, the key point to note here is both the players of PC and Xbox will enjoy the complete experience ahead of the sequel's launch later this year so all the Access members will make a lot of fun out of this EA/Origin Access. and one more interesting point to discuss is EA and Origin Access Vaults will add Battlefield 1 and Titanfall 2 which are like two big most wanted and eargerly awaiting games to be played on your PC and Xbox Origin Access members will also get their hands on The Sims 4: Digital Deluxe Edition, Oxenfree, and Rebel Galaxy. 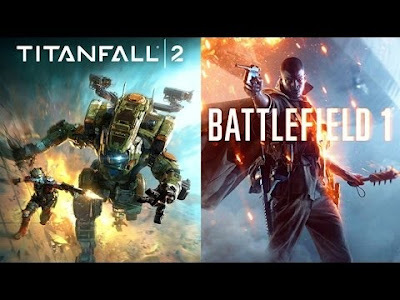 Although adding to this there is a slite disappointment the Launch dates were not announced by the EA company which making still curious on the release dates of Battlefield 1 and Titanfall 2 , but additions to the Vault are typically permanent, so you'll have plenty of time with the games once they get added. And another game from EA, FIFA 18 will be playable for EA and Origin Access members before actually they are going to be released, while the former will also get Play First trials of Madden NFL 18, NHL 18, and NBA Live 18. EA and Origin Access are subscription-based services for Xbox One and PC, so the Access members who are already subscribed can enjoy the above games before they going to release. They offer unlimited access to a library of games And subscription cost may be like $5 per month or $30 per year.